The United States has petitioned the UN to reprimand Russia and China for allegedly selling oil products to North Korea in violation of caps placed on petroleum sales as part of a larger sanctions package, reports the Wall Street Journal. 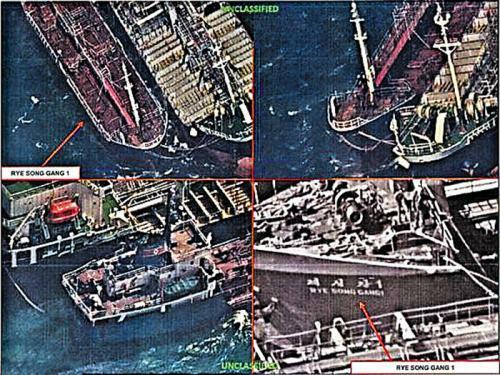 Chinese vessels were "caught red handed" last year by US spy satellites illegally selling oil to North Korea last year in around 30 transactions involving Chinese vessels, while a Hong Kong ship was seized in December after it was seen transferring oil to the Kim regime. The images allegedly showed large Chinese and North Korean ships transacting in oil in a part of the West Sea closer to China than South Korea. The surveillance photographs even showed the names of the ships. Meanwhile, Reuters reported in December that 'two senior Western European security sources' confirmed Russian tankers have supplied fuel to North Korea on at least three occasions in recent months by transferring cargoes at sea. Reuters' sources said the Russian-flagged tanker Vityaz was one vessel that had transferred fuel to North Korean vessels. 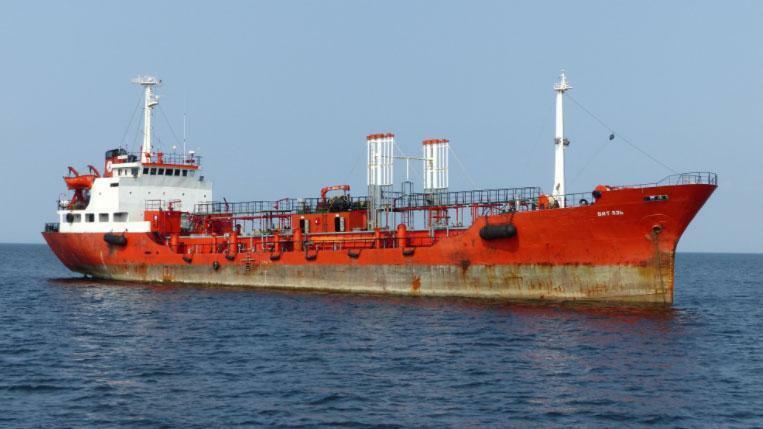 Yaroslav Guk - director at the company which owns the Vityaz, Alisa Ltd, said the vessel did not have any contact with North Korean ships, according to Reuters. Two more Russia flagged tankers made similar journeys llast October and November, leaving from the ports of Slavyanka and Nakhodka "into open seas where they switched off their transponders," according to shipping data. Meanwhile, last September Reuters reported that a minimum of eight North Korean vessels had left Russian ports loaded up with fuel and headed for home despite declaring other destinations in a ploy to get around the sanctions. The Russian Foreign Ministry hit back, saying that they were observing sanctions against North Korea, while the Russian Customs Service would not comment to Reuters on Wednesday when asked if Russian ships had supplied fuel to North Korea. North Korea needs imported fuel to continue operating its struggling economy, while it also requires oil for it's intercontinental ballistic missile and nuclear program. China also denied reports that it was selling oil to North Korea in violation of the UN sanctions - after President Trump said he was unhappy that Beijing had allowed oil to reach North Korea. According to documents seen by Reuters, the US proposed that the UN Security Council blacklist 10 vessels for illicitly trading with North Korea - accusing them of "conducting illegal ship-to-ship transfers of refined petroleum products to North Korean vessels or illegally transporting North Korean coal to other countries for exports." In February, we reported that the Trump administration was coordinating with key Asian allies to crack down on ships suspected of violating sanctions imposed on North Korea, according to Reuters. 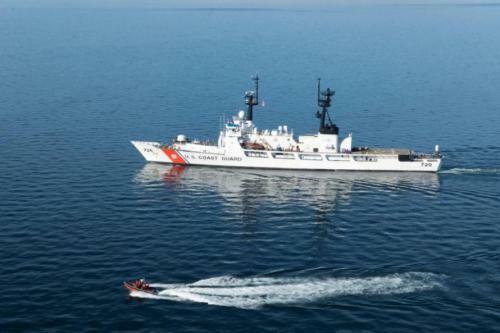 The joint effort between the U.S. Coast Guard and regional partners including Japan, South Korea, Australia and Singapore, would go further than ever before to physically block deliveries of banned weapons, components for its nuclear missile program and other prohibited cargo. Suspected violators could be targeted on the high seas or in the territorial waters of countries which cooperate with the coalition. Up to now, suspect ships have been intercepted on a far more limited basis. Depending on the scale of the campaign, the U.S. was even considering devoting a portion of air and naval power from the Pacific Command - though the plan would stop short of a full naval blockade according to officials who spoke on condition of anonymity. North Korea is suspected of being just a few months away from having an ICBM capable of hitting the U.S. mainland, a program which has continued despite heavy sanctions which have been sidestepped by smuggling and ship-to-ship transfers of banned goods. “There is no doubt we all have to do more, short of direct military action, to show (North Korean leader) Kim Jong Un we mean business,” said a senior administration official. "Those who trade with North Korea do so at their own peril," Treasury Secretary Steven Mnuchin told reporters in February. "The United States will leverage our economic strength to enforce President Trump’s directive that any company that chooses to help fund North Korea’s nuclear and ballistic missile programs will not be allowed to do business with anyone in the United States."